Remember when the Dodge Viper ACR broke its own 'Ring record? Yes, this is that record run. Late last month, the V10-powered angry snake that is the Dodge Viper ACR beat its predecessor's Nurburgring lap record with a new time of 7:03.45. Although the attempt wasn’t sanctioned by Fiat Chrysler, this privately sponsored attempt was still a success - and there's more to come. We'll get back to that in a moment. The soon-to-be discontinued fifth-generation Viper ACR still didn’t smash the current Ring record holder, the Lamborghini Huracan Performante, but it was a valiant effort nonetheless. What was impressive was the fact that the Viper ACR in question was bone-stock, specifically a GT-R model. Without any aftermarket modifications, the Viper ACR still managed to beat its fourth-generation predecessor’s 2011 Ring time of 7:12.13. This time, professional driver Dominic Farnbacher was at the wheel and, of course, event organizers attached a dash cam to capture everything. And now it’s been released. If you think this is an impressive lap, just wait because the team is planning to return to the Green Hell later this month to take another crack at dethroning the Huracan Performante and its 6:52.01 time. Obviously the Viper ACR must shave several seconds off its lap, but its driver and engineers are determined. 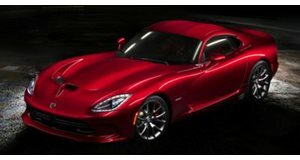 The Dodge Viper program is about to die once again, and setting a new Nurburgring record would be an ideal final bow.